While the Sensex fell over 1,000 points to 33,723, the Nifty crashed 322 points to 10,138. Over Rs 3 lakh crore of market wealth was eroded in early trade, leaving investors' positions in huge losses. 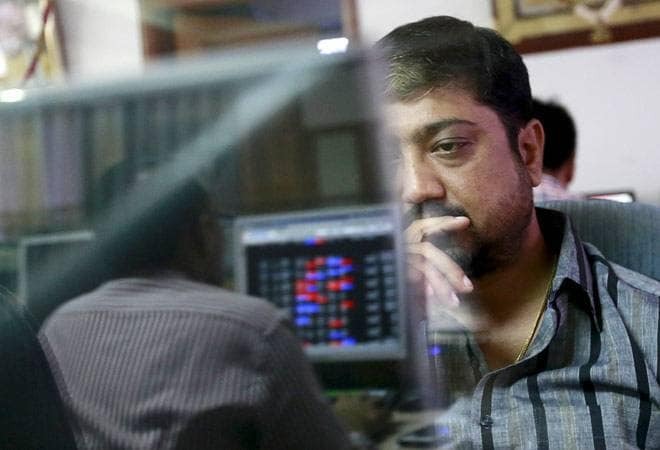 The Sensex and Nifty crashed in early trade today tracking a global market crash after US stocks slumped on Wednesday as concerns over rising interest rates and trade tensions caused a sell-off in technology and internet stocks. The Dow Jones Industrial Average suffered its worst loss in eight months, falling 3.1 per cent to 25,598.74. Banking stocks led the losses with the BSE Bankex falling 797 points to 27,584 level in early trade. Bank Nifty crashed 828 points to 24,493 level compared to its previous close of 25,321. The banking indices today wiped almost all of their yesterday's gains. On Wednesday, banking stocks led led by BSE Bankex rose 968 points or 3.53 per cent to 28,381 level. Bank Nifty too closed 794 points or 3.24 per cent higher to 25,321 level. Here's a look at stocks which led the fall in trade today. SBI: The State Bank Of India (SBI) stock was the top Sensex loser in trade today. The stock which closed at 278 level yesterday fell to 261 level intra-day. The stock was trading 5.38 per cent or 14.95 points lower on the BSE. Its market capitalsition fell to Rs 2,34,984 crore in trade today. Tata Steel: Tata Steel too fell nearly 5 per cent amid the market crash. The stock which closed at 583.05 level yesterday fell to intra-day low of 549.55 on the BSE today. Its market capitalisation fell to Rs 62,615.68 crore on the BSE. Infosys: The IT stock was among the top losers in trade today falling 3.03 per cent on BSE. The stock was among the top Sensex losers yesterday when rupee recovered from its all-time low. Infosys closed 2.38 per cent lower in Wednesday's trade. M&M: The M&M stock took a beating amid today's market crash. The stock was trading 2.39 per cent lower at 745 level on the BSE. Its market capitalisation fell to Rs 92,810 crore after the stock fell to its intra day low of 715 level. IndusInd Bank: The banking stock lost 2.63 per cent or 45 points to trade at 1593 level on BSE. Its market capitalisation fell to Rs 95,843 crore. IndiaBulls Housing Finance: The housing finance firm stock fell 6.80 per cent to 911 level. Its m-cap fell to Rs 32,558 crore. SBI: The stock of the nation's largest lender was down 5.65 per cent to 262 level on the Nifty. Tata Steel: The Tata Group stock fell 4.31 per cent to 558.50 level on Nifty. Over 62 lakh shares were traded on the bourse which amounted to Rs 34,584 crore in trading activity. Bajaj Finserv: The finance firm stock was down 4.37 per cent or 260 points to 5701 level on Nifty. Its market capitaliastion fell to Rs 36,049.99 crore on the bourse. Grasim: The stock fell 3.80 per cent or 34 points to trade at 875 level on Nifty. Its m-cap fell to Rs 35,890 crore in afternoon trade.